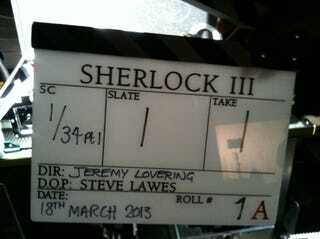 Sherlock Series 3 starts filming today! And Mark Gatiss has given us the title for Episode 1! We've known for a while that episode 1 would be based on The Adventure of the Empty House - the first Conan Doyle story written after fans demanded the Great Detective's return, as well as the story that introduces Colonel Sebastian Moran, Moriarty's most dangerous Henchman - but now we have a twist to the title. Could it be a reference to Sherlock's escape from death at the end of The Reichenbach Fall?